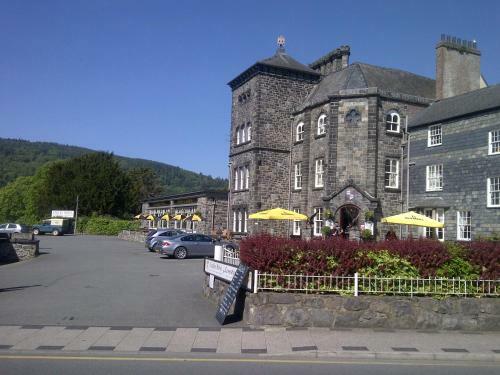 Home | Maenan Tourist Information and pictures of Maenan, Conwy County, Wales. Maenan is a rural community in Conwy County, North Wales. Located to the north of Llanrwst and to the east of Dolgarrog, the houses in Maenan are located in clusters along narrow country lanes. The A470 trunk road passes through lower Maenan. The Conwy Valley Line supplies the village and is accessible at the Dolgarrog railway station on the banks of the River Conwy. Maenan has two chapels, Capel Tan Soar and Capel Salem which is on the border of Llanddoged. Maenan also has a microbrewery, Bragdy'r Nant, serving local public houses. Mary Vaughan Jones is a famous Welsh children's author and was born and raised in Maenan. Lying in the beautiful Conwy Valley, with the foothills of Snowdonia as a dramatic backdrop there are many delightful walks with fabulous views of the Conwy Valley and the mountains of Snowdonia beyond. Sports enthusiasts will appreciate the Mountain Bike Trails of the Gwydyr Forest directly across the Conwy River. The river Conwy itself is popular with canoeists and kayak enthusiasts alike - whether its the calmer waters of the lower Conwy for beginners or the turbulent waters of the upper falls for the experienced thrill seekers. Cadair Ifan Goch viewpoint overlooks the Conwy Valley in the hills above Maenan, and local legend has it that Cadair Ifan Goch was once the seat of the mythical giant, Ifan Goch. The giant would sit on the rock and bathe his feet in the Conwy River below. The rocky hill offers superb views of the Valley and the eastern Carneddau mountains. 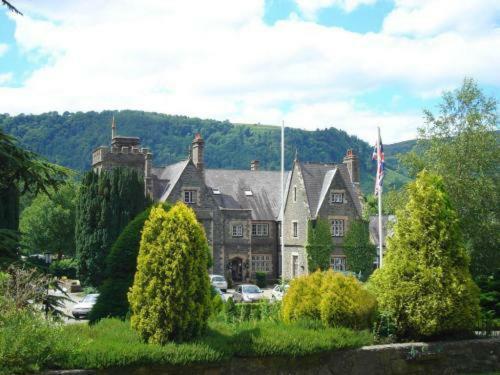 There are a good number of self catering holiday cottages, bed and breakfasts and hotels in the Conwy Valley. Built on the site of the historic 13th Century Cistercian Abbey, the burial place of the princes of Gwynedd, the Maenan Abbey serves as a country house hotel and restaurant with a long history. You may make an instant secure hotel or cottage reservation close to Maenan. Hotel and cottage availability and letting rates are confirmed online prior to booking. Simply click through to the accommodation page, choose a suitable property, check availability, including dates of stay, to confirm the exact room rate and reserve the accommodation.